Singapore Art Society Annual Exhibition 2016. Singapore Art Society will be having its 2016 Annual Exhibition at Ngee Ann Cultural Centre (97 Tank Road, Teochew Building Singapore 238066) from 19 to 22 May (11am-7pm daily). This art society has more than sixty over years of history and it is one of the art society that has exhibition annually. This is a good opportunity to view their members works. 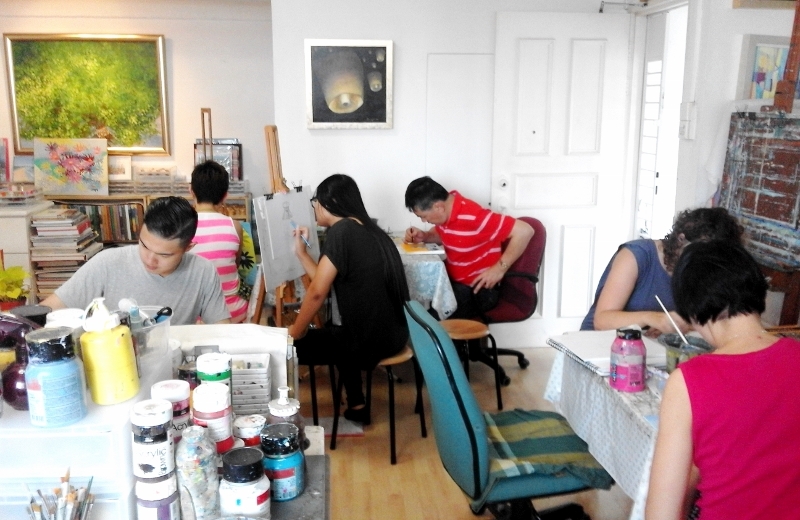 I came to enjoy small paintings and 3D works since when Siew Hooi started creating pedants. I discovered that I enjoy each and every pendant that she has created. Though they are small in size, the pleasant feelings that I get when looking at them are as strong as a big painting that yields. Happiness or pleasant feelings can come from small things. So I started to do more small works including 3D works. Here, a small painting to share with you. Lotus Seeds. Artwork of the Day at http://pabha.com/EarlyWorksOnlineExhibition Hope you like it.